Smt. 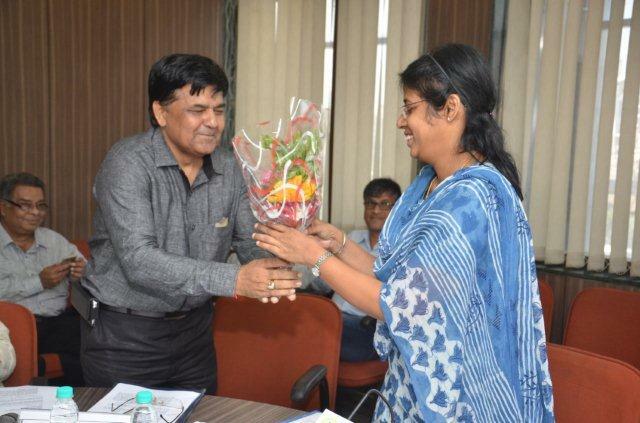 D Thara IAS, VC&MD, GIDC made a visit to Vapi Industrial Estate on 15th October 2016, Saturday. 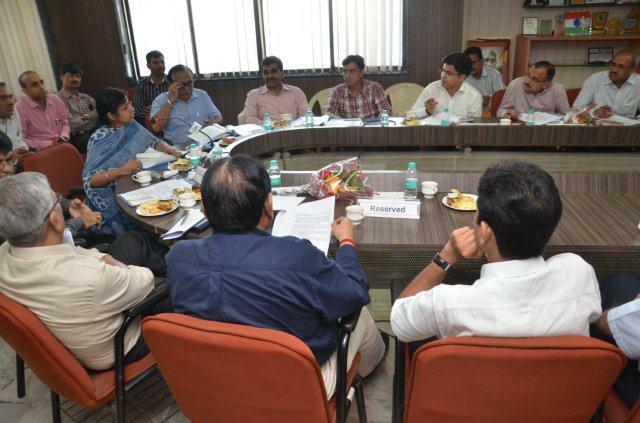 A meeting was arranged with her and the Industries Members at VIA at 11:00 am on that day. 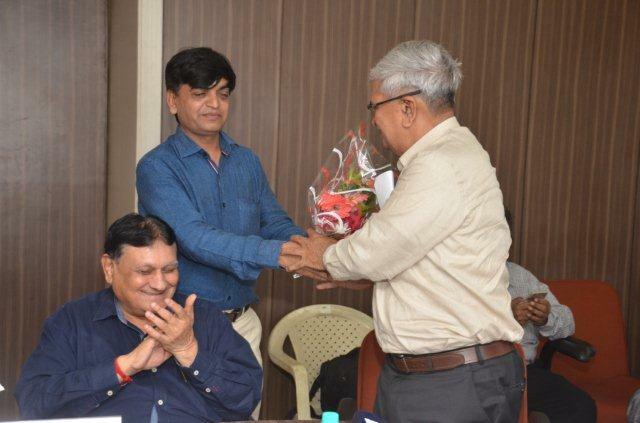 The meeting was held in the presence of Shri Hitendra Thakkar, Vice President, VIA, Shri Parthiv Mehta, Hon. Secretary, VIA, Shri Lalit Arora, Treasurer, VIA, Shri Magan Savalia, Jt. Secretary, VIA, Shri A K Shah, Past President, VIA, Shri Kirit Mehta, Director, VGEL, Shri Milan R Desai, Chairman – PR Committee, VIA, Shri S S Sarna, Director, VGEL, Shri Shirish B Desai, President, Sarigam Industries Association, Shri Digvijaysinh Parmar, GM, Grade – 1, GIDC, Shri H R Parmar, Superintending Engineer, GIDC, Surat, Shri A K Patel, Chief Officer, Notified Area Authority, Vapi. The program was well attended by the executive committee members and members of VIA and officers of GIDC and Notified Area Authority. 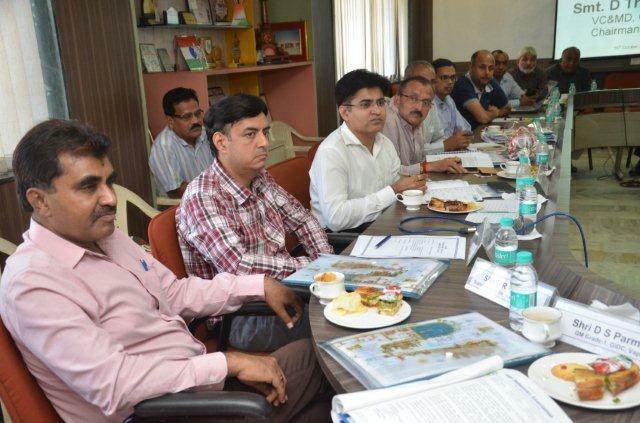 During the meeting discussion has been made on major policy related issues of GIDC and NAA and Smt. 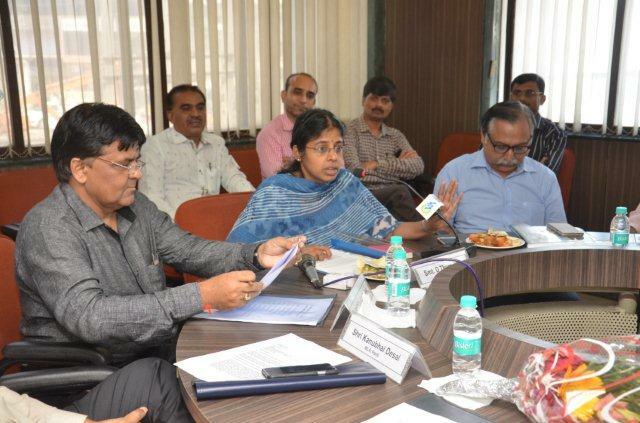 D Thara IAS, VC&MD, GIDC has given her valuable guidance on these issues. Assurance has also been received for early solution on certain issues which were affecting the sustainable growth of the estate. Smt. Thara madam has also made a visit to Prem Kumar Patil Garden, R K Desai College and the Centre of Excellence of Vapi on that day.